You are into cool tricks, relaxing atmosphere and some professional fotos from your sredding stunts? Then mark the date in your calender cuz the GOT IT Public Shooting will take place in Snowpark Kaunertal! All you need is your Skies or Snowboard, friends and good vibes. A perfectly shaped set-up is waiting for you! 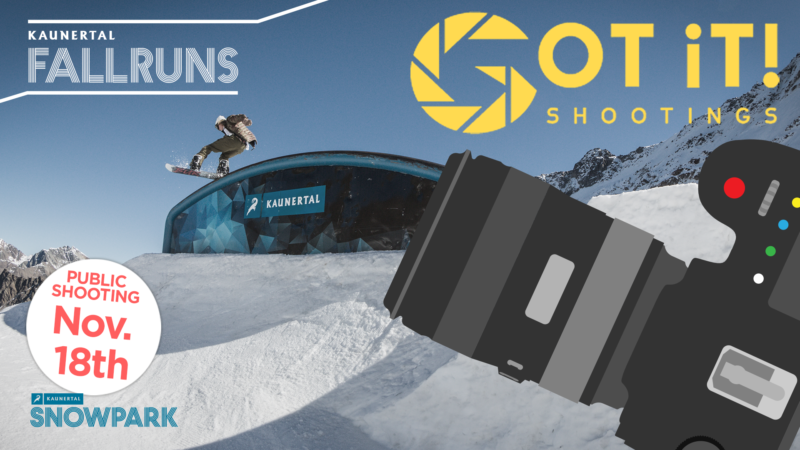 To capture the first new tricks oft he season, the GOT IT crew will be around at Snowpark Kaunertal on November 18th to shoot different features in the park during the whole day. The best fotos of all participants will be posted on facebook, where everybody can Download their top quality action Shots for free. So the perfect opportunity to work on your shred portfolio or to pimp up your Insta account!